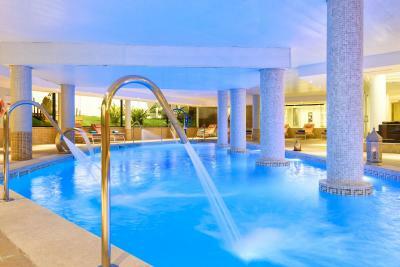 Lock in a great price for Cala Millor Garden Hotel - Adults Only – rated 8.3 by recent guests! 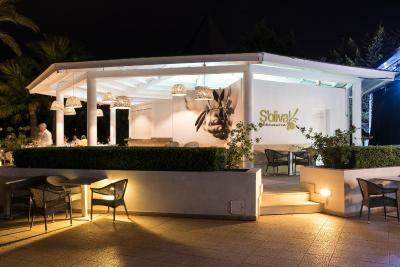 The staff were extremely friendly and helpful, especially the head receptionist Gabriella. The chambermaid Carmen was always cheerful and the room was spotless. Adults only is great for peace and quiet. Location is good. Food very good. Das Zimmer war sehr hell und mit dem nötigsten ausgestattet! Jedes Zimmer hat einen Balkon .Das Personal war sehr hilfsbereit und freundlich.Das Buffet war abwechslungsreich und vielseitig. Petit déjeuner très copieux, superbe situation, personnel très agréable et serviable. Maten var god och varierande. Fräscht., bra städning. Muy limpio. El personal amable y agradable. El desayuno muy variado y bueno. El baño reformado y estupendo. 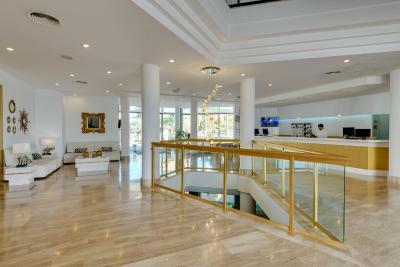 Cala Millor Garden Hotel - Adults Only This rating is a reflection of how the property compares to the industry standard when it comes to price, facilities and services available. It's based on a self-evaluation by the property. Use this rating to help choose your stay! 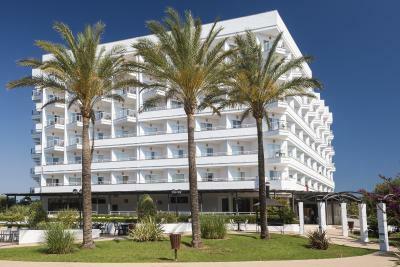 Located close to the beautiful Cala Millor Beach, Cala Millor Garden Hotel - Adults Only is designed exclusively for adults. 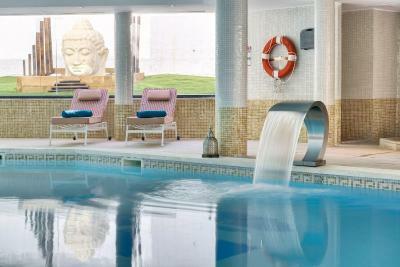 It offers several swimming pools, live music and a relaxed atmosphere. 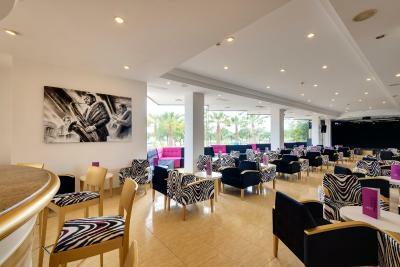 The air-conditioned rooms in the modern Cala Millor Garden Hotel - Adults Only offer free WiFi, satellite TV and mini-bar. Safes are available to rent. 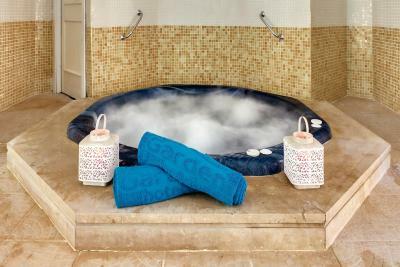 There are several outdoor swimming pools, an indoor and outdoor hot tub, and a heated indoor swimming pool in winter months. 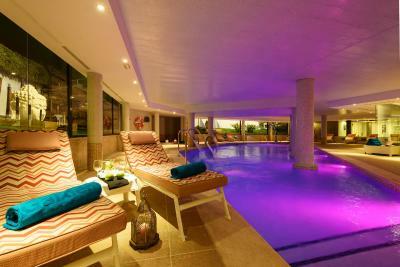 The heated pool and one of the other pools are accessible to guests with reduced mobility. The hotel has a sauna and offers a wide range of massages. 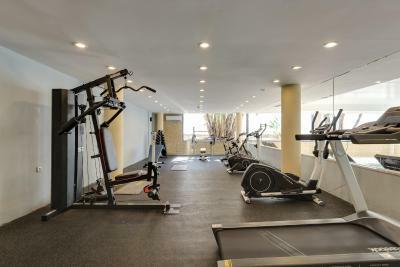 There are also multi-sports courts, a tennis court, gym and air rifle range, as well as putting green. 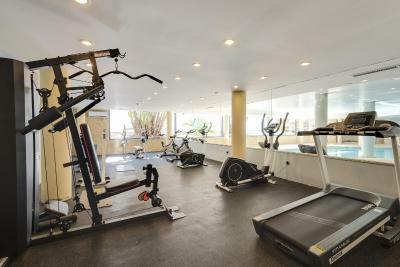 During the day there are fitness activities such as dance classes, tai-chi and bike trips. At night, there are live shows. 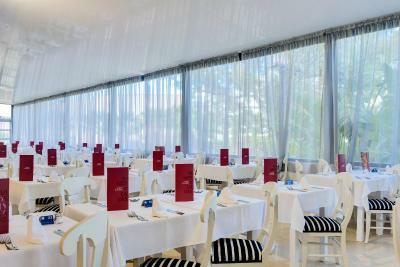 Cala Millor Garden Hotel - Adults Only has an air-conditioned restaurant serving dishes such as fish or steak, as well as gourmet desserts. It features show cooking and caters for celiacs. 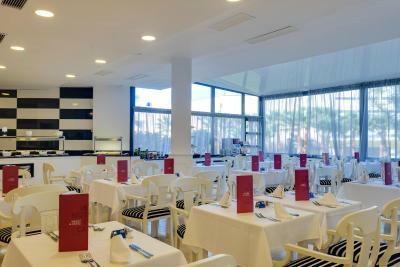 There is also a snack bar with a large terrace and a poolside bar-restaurant. 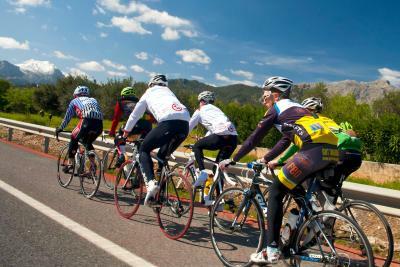 Local attractions include the Punta de n'Amer country estate, the Hams Caves, some of Mallorca's most attractive coves. Free private parking is available on site. 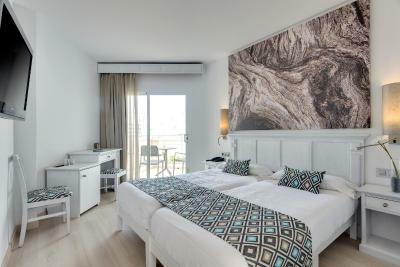 When would you like to stay at Cala Millor Garden Hotel - Adults Only? 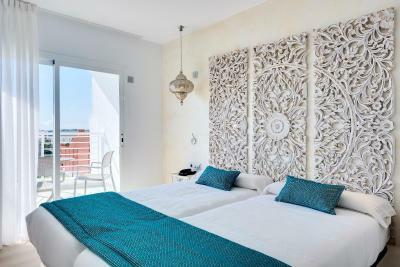 This air-conditioned room offers free Wi-Fi, satellite TV, a mini-bar and a rental safe. 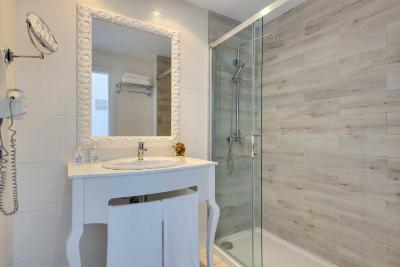 It has a terrace or balcony and a private bathroom with a hairdryer. 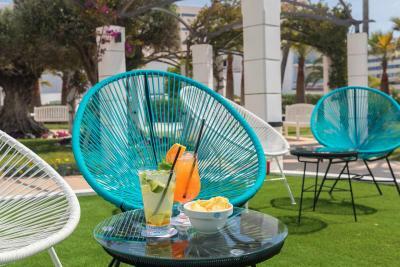 House Rules Cala Millor Garden Hotel - Adults Only takes special requests – add in the next step! 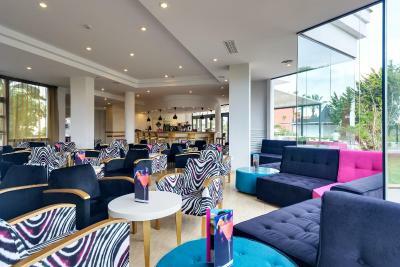 Cala Millor Garden Hotel - Adults Only accepts these cards and reserves the right to temporarily hold an amount prior to arrival. Please note that children under 18 years old are not admitted. Please note that late check-out must be requested at reception and is subject to availability. Late check-out incurs a varying surcharge, depending on the time of check-out. 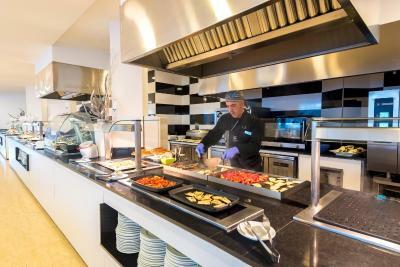 The meals being Buffet style were quite tepid. Lifts are a problem. Bar prices high. Banco Santander ATM Cash Machine charges a Comission to withdraw Euros. BEWARE. Poor quality drinks in the evening, cocktails were not made in front of you we sent back two that tasted terrible! the bar staff did not appear surprised, we gave up and changed drinks. Plastic glasses or paper cups until 6pm Lack of daytime snacks if All Inclusive Poor entertainment for adult only, a quiz and suduko, thought there might have been an act on.